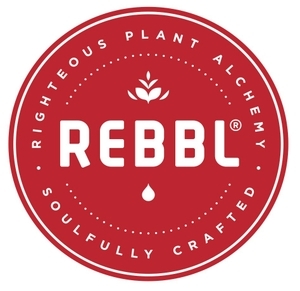 REBBL is a fast-growing beverage company based out of Emeryville, California, crafting Super Herb Elixirs that are a reflection of our obsessive attention to ingredient purity, potency, and authenticity. We were born out of a conscious collaboration between global thought-leaders, whose soul-purpose was to address the malfunctioning global food system through a regenerative business model that would respect, uplift, and delight the world. What we aim to achieve will not come easily; this work takes serious grit. Our goal is to consciously grow a performance-driven, best in class team that is REBBL-hearted, with passion, unrelenting drive, and mutual trust. We’re looking for someone extraordinary to join our tight-knit team. We are deeply committed to supporting human dignity through impact sourcing and supply chain integrity. 2.5% of our net sales go to Not For Sale, our co-founder and nonprofit partner, to support efforts in eradicating human trafficking. Through initiatives with our grower communities, we strive to stop trafficking before it happens, and in our efforts with Not for Sale, we support at-risk individuals and the healing of those who have been trafficked. The REBBL Innovation Scientist is responsible for leading the development of new product platforms and driving the development of line extensions, product improvements, and cost savings. This person will also assist the Innovation team by evaluating the technical viability of concepts, conducting ingredient research, and partnering with our suppliers, co-manufacturers, and internal team to bring concepts through commercialization. This role reports to the Sr. Innovations Manager of REBBL and works closely with the operations team, the project manager, sales and marketing to bring products of substance to market. The Innovations team supports the brand vision and insights of the Chief Innovations Officer with the practical planning and execution needed to bring those visions to life in products that inspire, delight and uplift the world. The ideal candidate is a proven innovator with experience in a food or beverage CPG company, preferably in the natural/specialty/premium space. Experience with a purpose-driven brand is a plus.